Home English EVM Tampering through Bluetooth and Satellite? EVM Tampering through Bluetooth and Satellite? 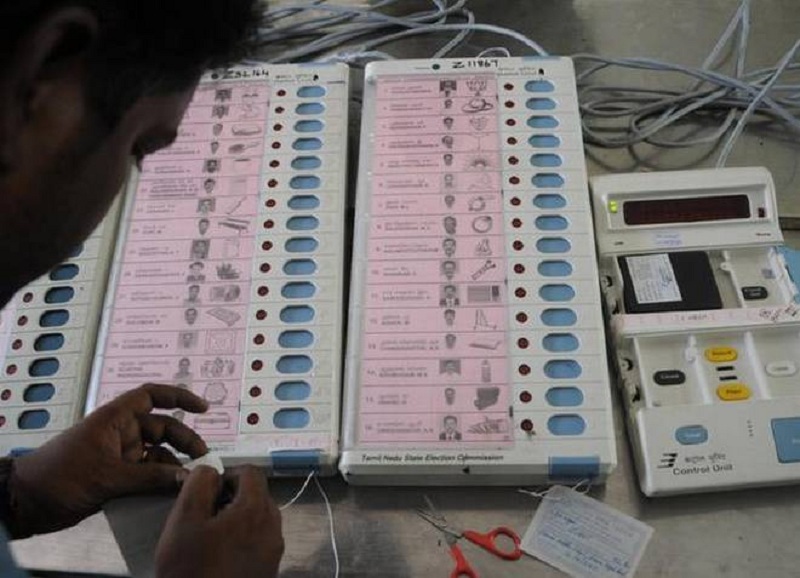 In the wake of Telangana and Rajasthan elections that concluded on Friday, opposition has made weird allegations on EVM tampering. MLA candidates of different parties and people are waiting fingers crossed for the election result that will be out on December 11th. Exit polls have been predicting that TRS will return to power and KCR will continue as CM except Lagadapati Rajagopal who predicts otherwise. Meanwhile, a shocking allegation have been made on possibilities of EVM tampering. After completion of poll, EVMs have been moved to strong rooms under tight security. Congress alleged that ruling party in state and center are attempting to tamper EVMs in their favor. Congress appealed to CEO Rajat Kumar to allow their party members to be kept as security at the strong rooms and got permission. Congress leaders expressed two crazy hypothesis on EVM tampering. Accordingly, spare EVMs are made available at each polling booths on election day. Congress spokesperson said that TRS will fill the spare EVM with their party votes and replace the original EVMs in strong room. In even more hi-tech tampering allegation made by Kairatabad congress candidate Dasoju Sravan, each EVM is connected with bluetooth and tampering can be done through satellite. He demanded signal jammers to be placed around strong rooms where EVMs are secured.